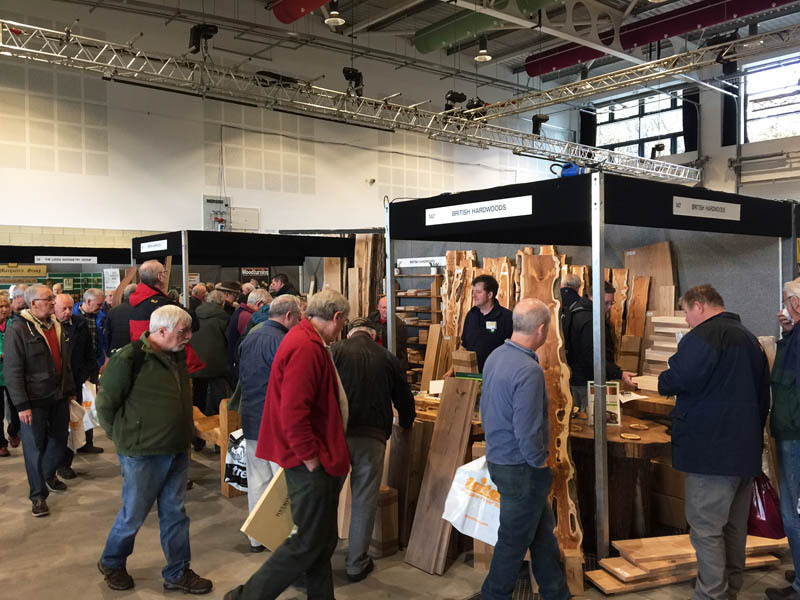 A number of the British Hardwoods team attended the annual North of England Woodworking show in Harrogate last weekend which proved a great success. 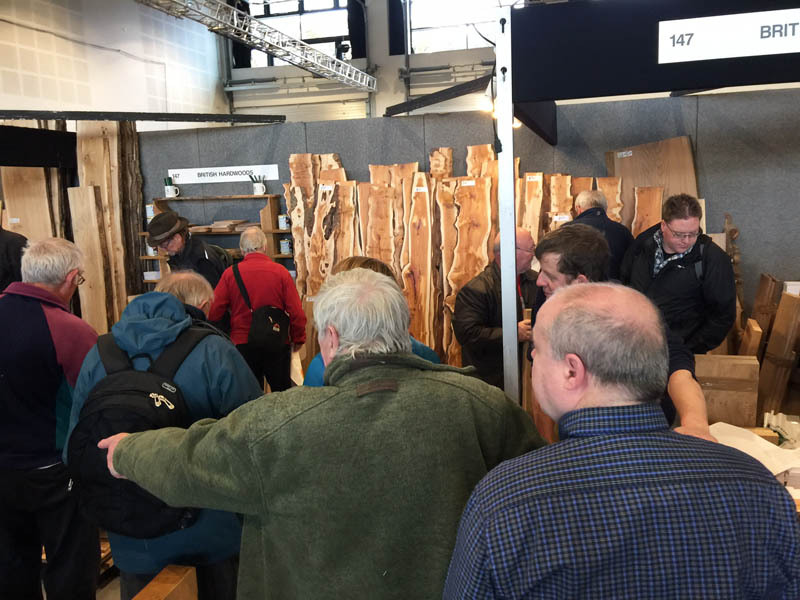 Great fun was had by all in a very busy show hall. 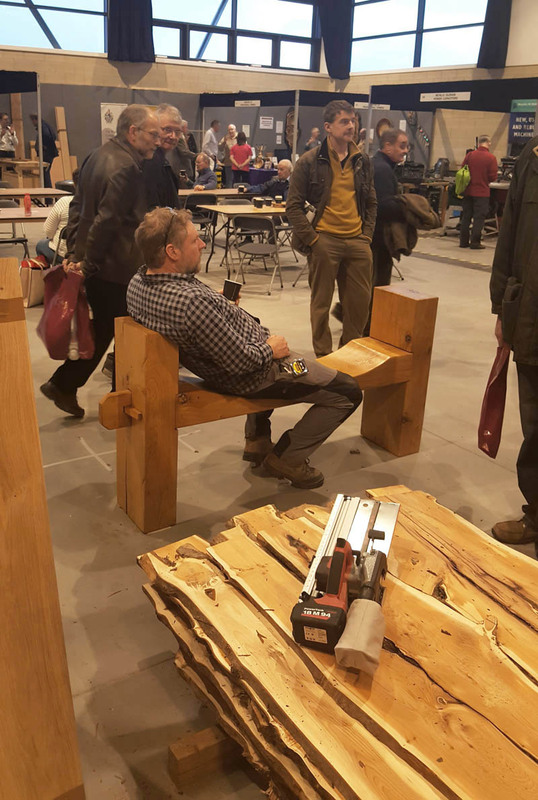 Hundreds braved the cold weather and packed car parks to browse the stalls ranging from power tools to beautifully crafted furniture and wood carvings. Form an orderly queue please gentlemen! 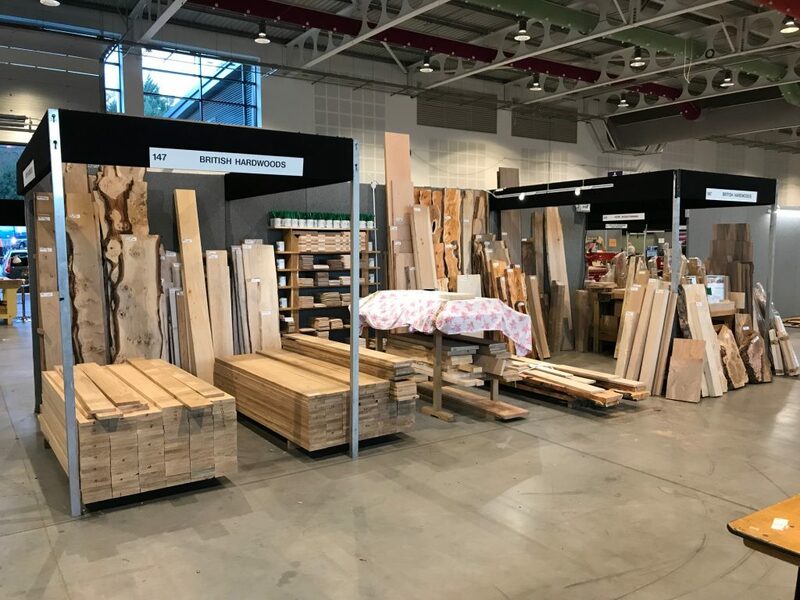 The British Hardwoods stand was very popular amongst woodworkers, hobbyists and people looking for something a little out of the ordinary with our spectacular range of our own kiln-dried native hardwoods. Thanks to all who attended and stopped by for a chat and a pre-Christmas purchase. 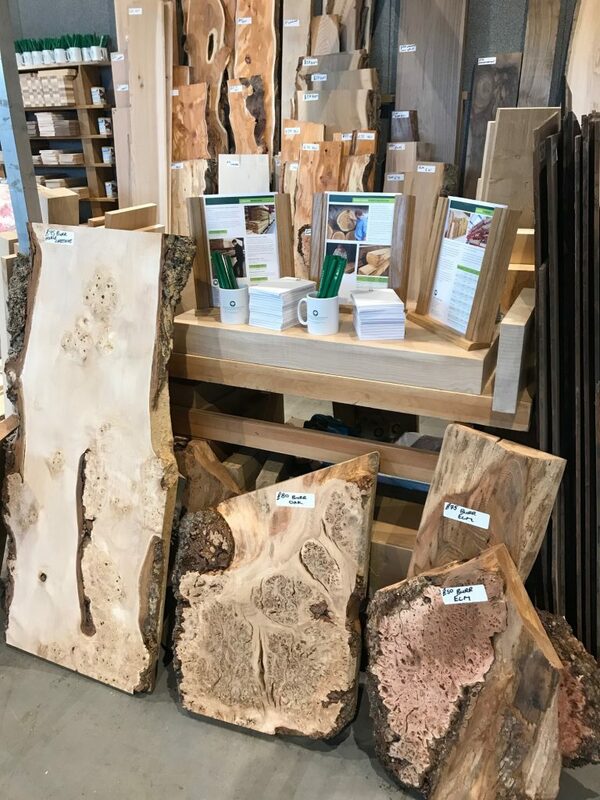 We still have lots of English Pippy Oak and some of our beautiful selected Yew boards on sale here at our factory, so you are more than welcome to pop in and take a look. 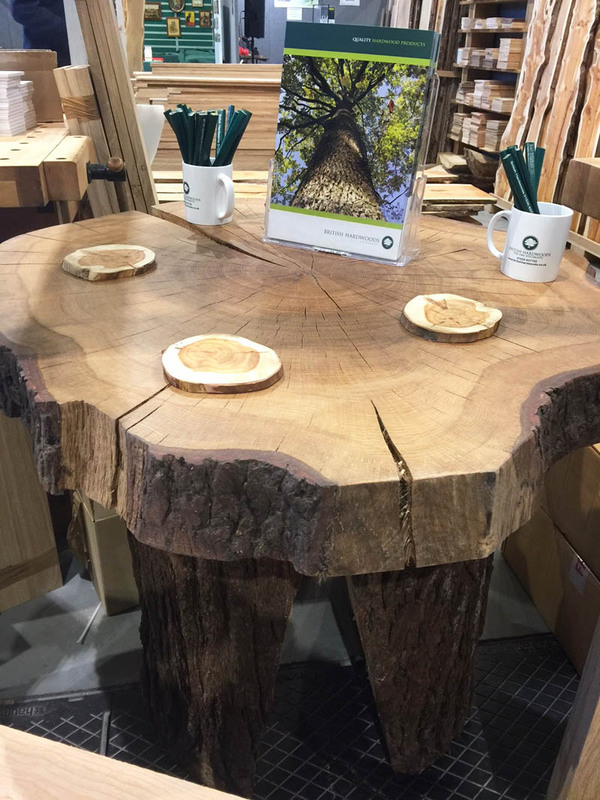 We also hope to have some Scottish Elm, Austrian Walnut and some Lime very shortly. 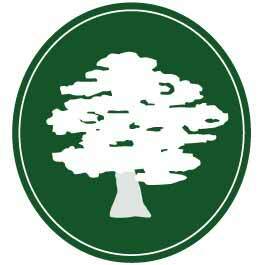 Follow our blog or our e-newsletter to hear about our most up-to-date timber stocks. 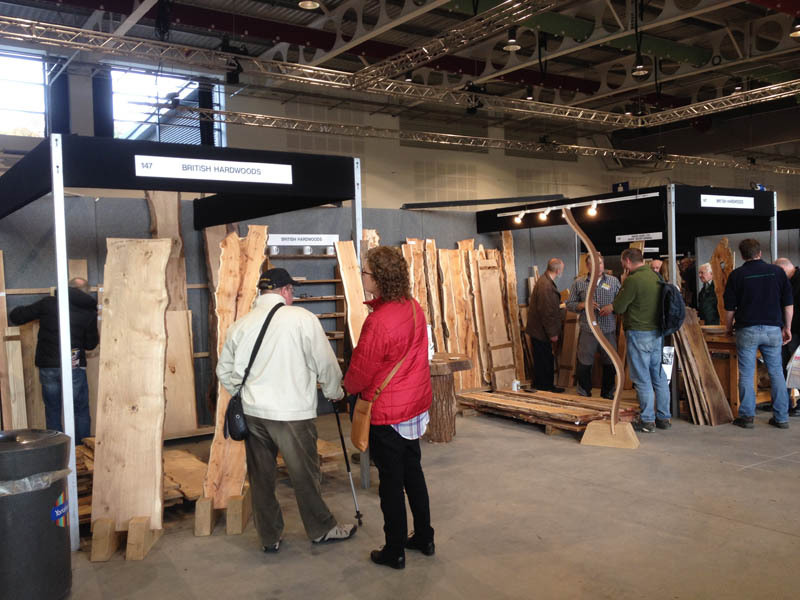 Lots of lovely timber - ready for the show! Subscribers to our e-newsletter will be aware that we installed our very own kiln, at our premises here in Yorkshire, towards the end of summer. 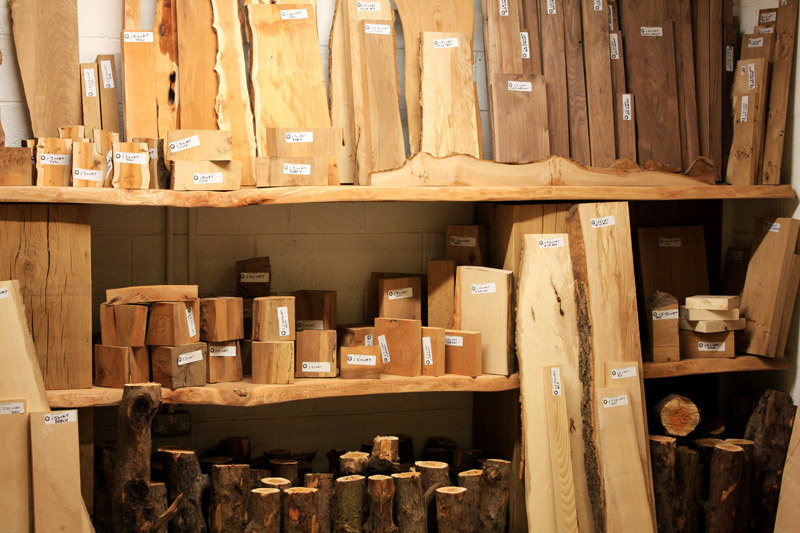 Having a kiln on-site has enabled us to source a wider selection of beautiful native hardwoods. 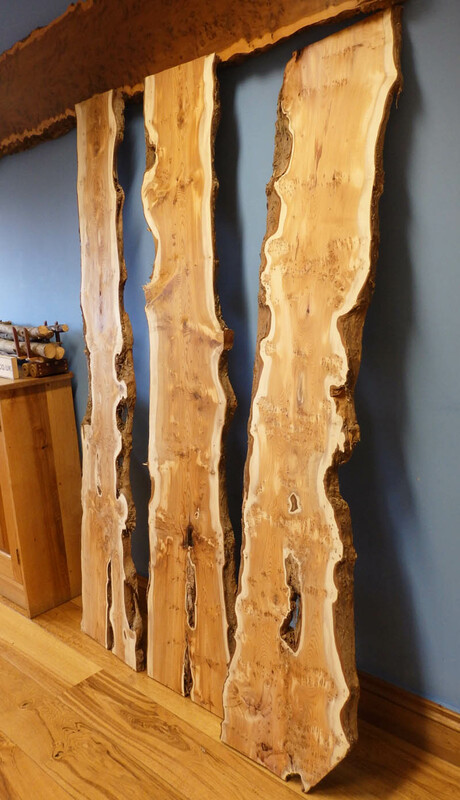 During the past couple of months we have selected and sawn some stunning English Pippy Oak and Pippy Burr Yew Boards. 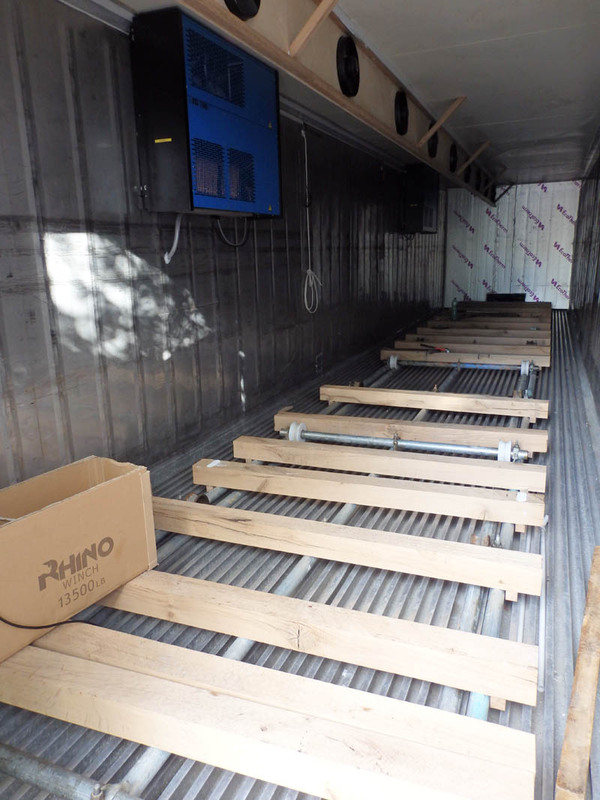 The anticipation whilst the timber has slowly kiln dried finally ended early this week when we were able to reveal our very first batch. With the boards safely removed from the kiln on our bogey system, Tony and Jason set to unloading each board by hand (some aching backs to be anticipated no doubt!). 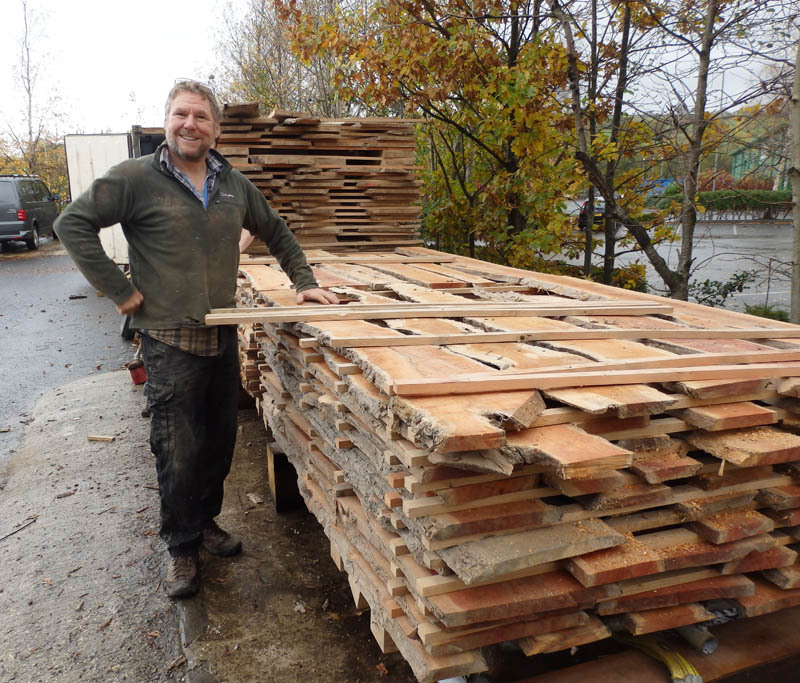 Once unloaded and installed inside our warm and dry factory the boards were ready for planing. 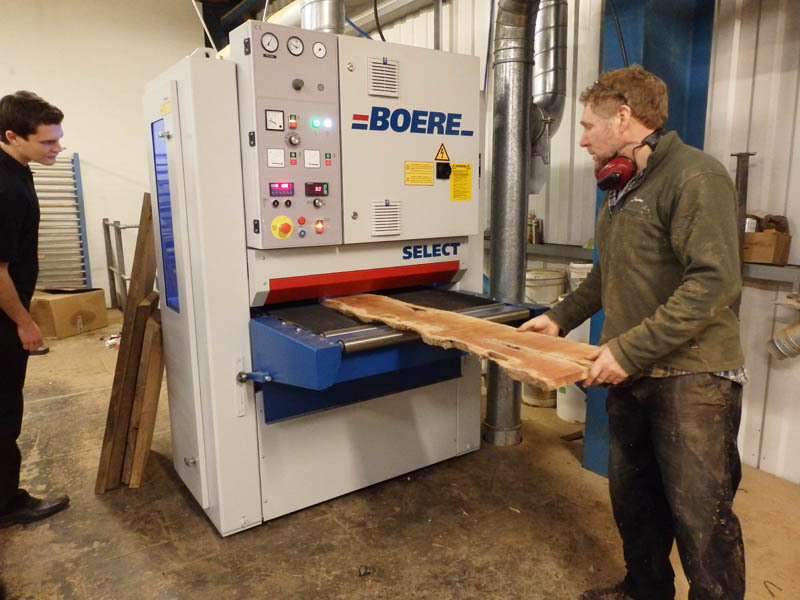 Each individual board was then fed through our Boere Knife Planing Machine which can process boards up to 900mm wide in one pass. 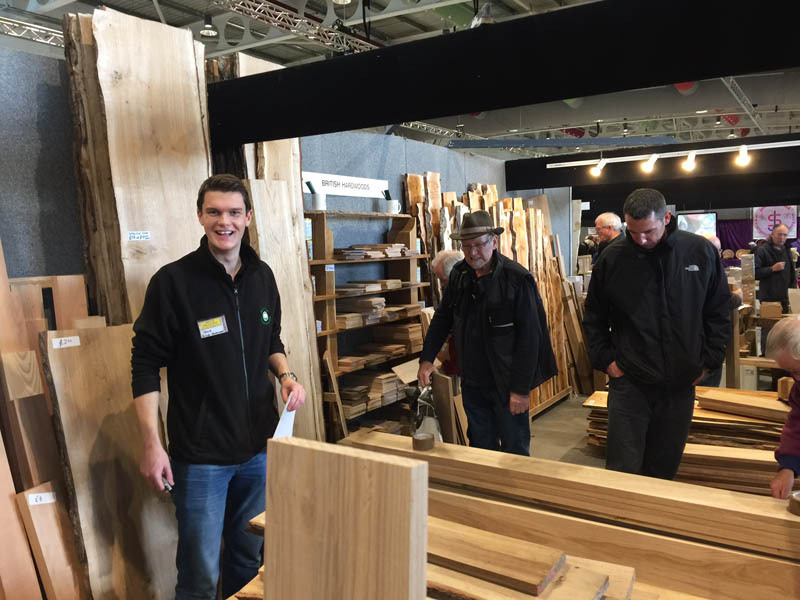 With so many boards to plane before the weekend Tony was kept busy for several days. 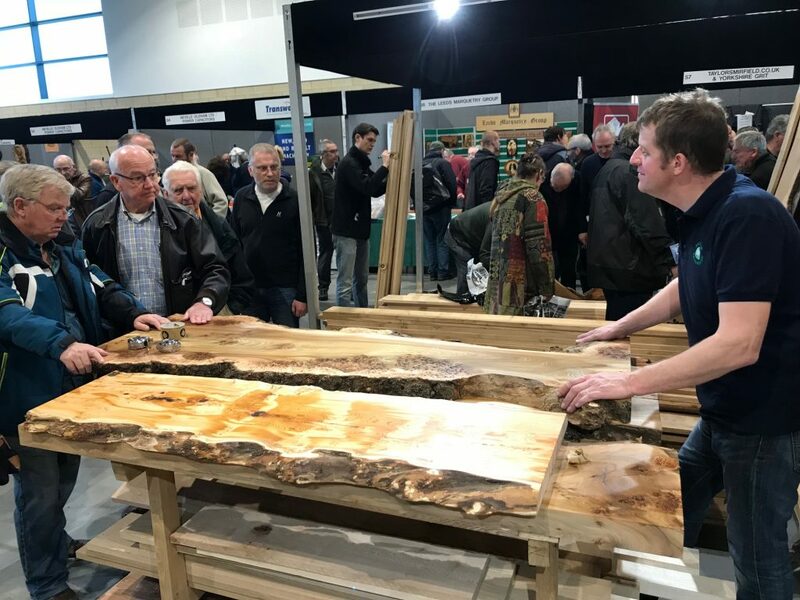 All our beautiful planed boards are now ready for the annual North of England Woodworking Show in Harrogate this weekend. 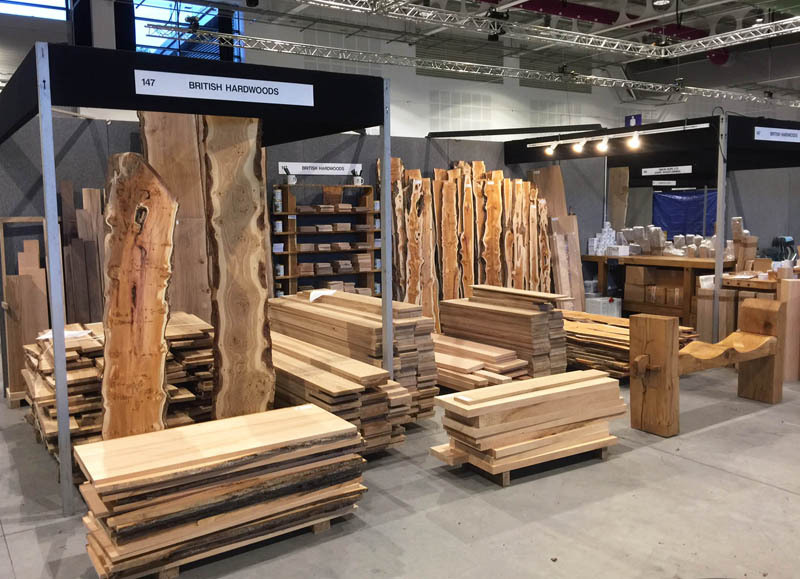 We will be providing a huge selection of superb hardwoods this year, including our own kiln dried English Pippy Oak, Pippy Burr Yew and Lime in all thicknesses. 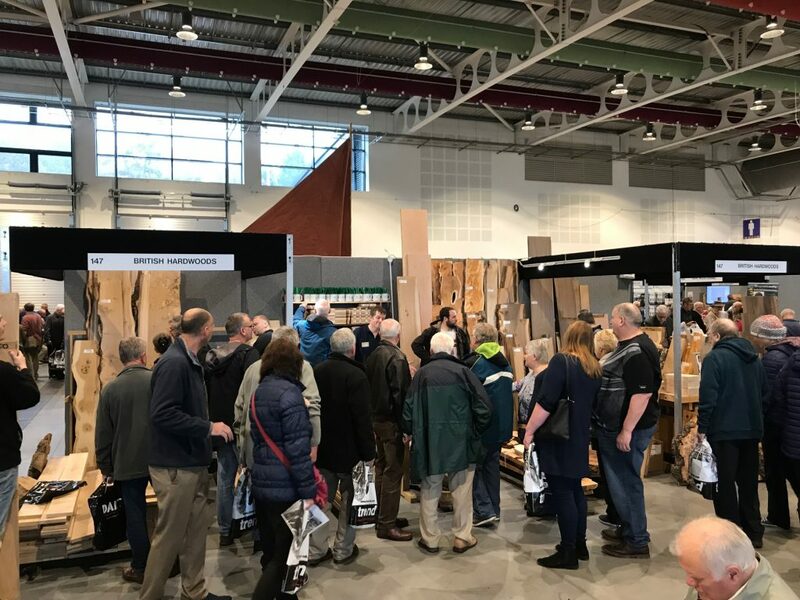 Tony, Jason, Mark and Jamie will be manning our stand (Number 147) at the show, so call and say hello, they'll be glad to see you.